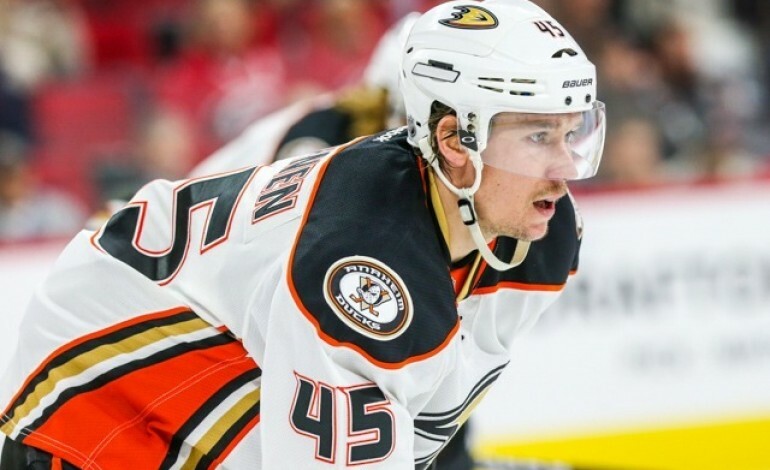 The Anaheim Ducks have re-signed defenseman Sami Vatanen to a four-year, $19.5 million contract with an average annual cap hit of $4.875 million. Vatanen, 25, led all Ducks defensemen in goals (9) and points (38) this season and has 29 goals and 98 points in 194 career regular-season games. 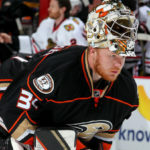 Vatanen added a goal and four points in the Ducks’ seven-game playoff series against the Predators. 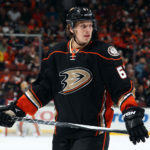 Vatanen was one of four key restricted free agents on the Ducks roster, along with defenseman Hampus Lindholm, forward Rickard Rakell and goaltender Frederik Andersen. 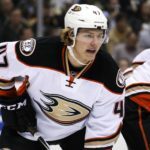 There has been speculation that Vatanen or Lindholm might be traded, but Ducks general manager Bob Murray is hoping to re-sign Lindholm as well, though he said Andersen is his next priority. The process of resigning these players may take a few months, as Murray is in no rush to force contract negotiations with the possibility of qualifying offers. Vatanen is set to play for Team Finland in the upcoming World Cup of Hockey in September. Featured Image Credit: Andy Martin Jr.